When I think about what it means to be home, my mind starts to wander a bit. My definition of what ‘home’ looks like has changed so much. But, what I’m certain of is that my heart has multiple homes. One of them is Guatemala. 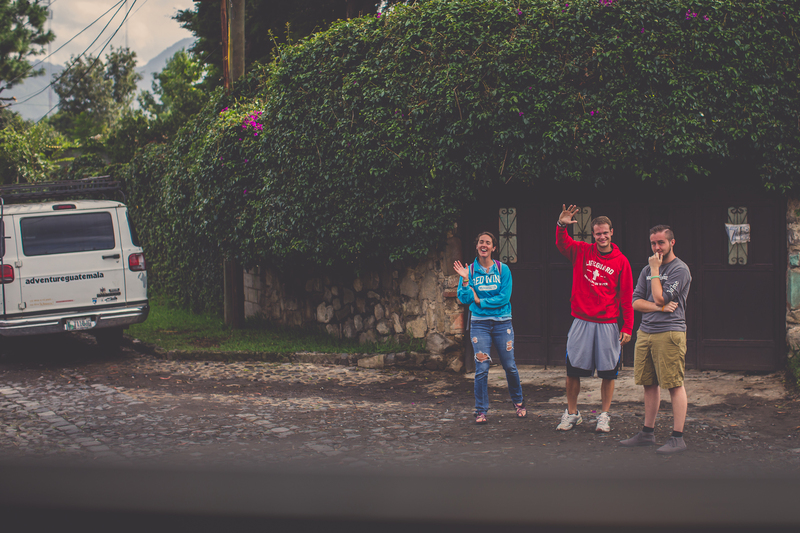 This is one of the last visuals I have when we left there in 2014 and it’s funny because my experience in Guatemala was 100% made by the people I encountered. (Robin, on the left, became a soul sister for life). It’s way more complicated than that. Or maybe it isn’t. I don’t know. Mike and I both have lives to manage here. We have our kiddos to worry about. And we have jobs we need to be at. But, as I told Connor when I shared with him the opportunity I have to go back, sometimes we have to do the things we feel called to do. Even when it’s hard. And even when all reason says not to. I also told him that if he gets that opportunity someday to do the same that I would urge him to do the same. So, we depart February 25 for a week-long adventure with 8 other people to work with a ministry known as Hope for Home. The reality is that this trip will be costly and our fundraising time and options are limited. Mike and I have a page we’ve created over at Give Forward that includes some more detail about our hearts for this trip. We hope that you’ll take the time to prayerfully consider a donation. But mostly? Please just pray with us as we prepare our hearts fully for the Lord to use us in a powerful way in the lives of these children. And if you have any interest at all in reading about my former adventure, just search ‘guatemala’ at the top of the page there. Grab a blanket and some cocoa and enjoy! This entry was posted in believing in what i can't see, Uncategorized and tagged faith, guatemala, hard stuff, jesus, love by staci. Bookmark the permalink. The “saying goodbye” pic brought instant tears. Such an amazing experience. So happy I got to share that first trip with you and even more excited you get to go back to Guatemala. May God bless you and Mike and I pray He shows you even more than he did in 2014. PLEASE PEOPLE invest in Staci. SHE is so worth it!! !